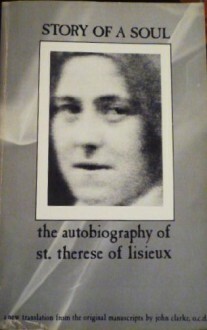 This electronic edition of the autobiography of St. Thérèse of Lisieux (Story of a Soul) includes much, but not all, of the content of Soeur Thérèse of Lisieux, edited by Rev. T.N. Taylor. All the translated writings and sayings of St. Thérèse contained in that book are in this electronic edition, including the autobiography as well as "Counsels and Reminiscences," letters, and selected poems. Also included are the preface by Cardinal Bourne, the prologue relating Thérèse's parentage and birth, and the epilogue describing her final illness, her death, and related events. As one of the church's most beloved saints, Térèse Martin, Carmelite of Lisieux has had an impact on the spiritual lives of thousands of believers. This French nun's short life (ended at age 24) was one of great faith and insight, and she was named patroness of France in 1947. Her autobiography, Story of a Soul, has been translated from the French to many languages and is a bestseller worldwide.Abby ZwartCCEL Staff WriterThis edition features an artistic cover, a new promotional introduction, an index of scripture references, links for scripture references to the appropriate passages, and a hierarchical table of contents which makes it possible to navigate to any part of the book with a minimum of page turns.